Do I Need an Agent to Publish My Book? 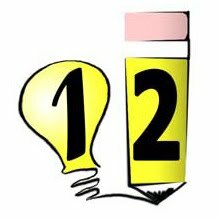 12Writing - Workshops for Creative Writers and Teachers: Do I Need an Agent to Publish My Book? In the traditional publishing industry - before the internet and the expansion of "vanity" presses - you almost always needed an agent in order to get a book published. Many traditional publishing houses wouldn't consider a manuscript unless it was "good enough" for an agent. This is still very true today - if you want to publish via the traditional route, you should find an agent. An effective agent will know which companies to send your manuscript to based on genre and the personal interests of those publishers. Plus, agents are far more familiar with negotiating contracts than we (as first time authors) could possibly be. In her question, Joserie asked if finding an agent is a good move. The short answer is yes - if you can find a good agent, you should. However, you'll need to make sure you've found a good agent who will help you progress as a published author. First, make sure you find a reputable agent - an agent is there to represent you and your book, and a reputable agent will earn his or her profits only when your book earns a profit. Therefore, you should never accept an agent who wants to charge you money up-front. If an agent truly believes in your book, then that agent will help get your book published. The Science Fiction and Fantasy Writers of America (SFWA.org) provides their Writer Beware list with danger signs of literary agents to avoid. Just remember: if an agent is charging the author, then that agent is not bringing in money from publishers, and that agent is not going to get your book published. Now the tough part: finding the good agents. Nathan Bransford offers a very helpful guide to finding a literary agent. Note that it is an involved process - for many authors, finding an agent can take anywhere from months to years. If you'd like more details, Give 'Em What They Want is a very helpful book which lays out all the steps to publishing your novel: pitching your manuscript, writing cover letters, and even how to summarize your novel. Once you've found an agent, you're only halfway toward publishing your book. The next part involves successfully working with your agent - and this may mean a lot of work on your part. A helpful agent will read your manuscript and provide suggestions regarding possible changes you should make, publishers who may be interested in your book, and the potential for sequels. Even though your agent works for you and your book, true publishing success will depend on your working with your agent. The website Write a Novel Fast offers some great tips on What Literary Agents Look for in an Author. What if I Can't Get an Agent? So if you're having trouble getting an agent, what do you do? First, ask yourself what you want from your publishing experience. If you are writing specifically for the sake of publication and "making a living," then figure out how to improve your manuscript and how to better market it to agents. Remind yourself that making a living off your published work is extremely difficult, and that it takes a lot of perseverance to make that dream happen. Now ask yourself the really tough question: where are you as a writer? Have you been writing stories for years? Have your earned an MFA and/or published in several magazines? Then you have a track record in writing and you've received high-level feedback. You may just need to keep trying with agents. You may also try going directly to some publishers. Either way, you should keep trying. What if you haven't been writing for very long? What if this is your first novel manuscript, you've never published in a magazine, and you haven't had the time to earn an MFA? Then it can be harder to evaluate your own work. If you can, you'll want to find other writers who can read your work and let you know how you're doing. You don't necessarily need an MFA or prior publication to be a good writer, but you do need feedback in order to see how readers (and agents) will respond to your work. If you can't find a local writing group, then I recommend finding an online workshop or writing group. But Do I Really Need an Agent? There are a couple situations where you don't need an agent. If your writing is not very good and you know it's unlikely to be published, then don't worry about finding an agent just yet. (If you don't have a finished novel manuscript, then you wouldn't be able to hire a reputable agent anyway, but that's okay - we've all been there.) If you're writing a book that just for your family or just for the industry you work in, it might not make sense to wait the year-or-more it might take for traditional publishing. Yes, you'd have to pay for it, but you could get a novel printed and into your grandmother's hands in time for her birthday - and that might be worth every penny and more. Though many traditional writers, agents, and publishers (and some readers, too) are bemoaning the growth of self-publishing. Some have said that self-publication will hurt the overall quality of the fiction produced today. Others feel that it cheapens the writing process by robbing authors of appropriate payment - essentially, authors who should be paid for publishing are instead giving away their stories pretty much for free. I disagree. As a barely published author without an agent, I see many ways in which self-publication can help your traditional publication in the future. First, you don't need to wait for that first novel to come out before you start building your audience. Instead, you can use Facebook, Blogger, and other internet tools to share your work and build a fan base. (The fact that you're reading this is proof of that.) I recommend sharing a variety of stories and, most importantly, interacting with your fans. Let them get to know you. Let them see that you care about your work. Let them see that you care about their thoughts, and that you're looking for their feedback. Not only will they appreciate you as an author, but they'll help you improve your stories. Next, you can earn some money through Amazon's Kindle Direct Publishing (KDP). You need to build up your fan base, of course, and you'll want to make sure that you're selling stories that people are happy to pay for. But it can get you going. While you're doing this, you can also market your short stories and poems to magazines. Every magazine you publish in helps certify that you are writing material that's worth reading. Please let me know if I can answer any questions, or if you have suggestions for this article. You can leave a comment below, or simply leave a note on our Facebook Fan Page.